I'm always on the hunt for the perfect primer and foundation that will give me flawless skin like a Victoria's Secret model. Unrealistic hunt? Definitely but still I'm constantly looking for a full and healthy coverage complexion, without looking like I have caked on my foundation or looking orange. Since I've been in need of a new primer and foundation for a while now, I wanted to invest in a matte primer that actually held makeup and a foundation that could offer light to medium coverage depending on the occasion. When one of the girls at work suggested bareMinerals, I thought why not go by the shop at the weekend and see the products myself. My makeup artist friend recommended getting a primer with Silica as it fills pores helping prep skin for foundation whilst still allowing skin to breath. She also recommended a powder foundation as it is better for oily skin and the application process is so much quicker, especially with the correct brush so of course I had to get that too! I was very eager to try out my new purchases when I got back home and couldn't want to apply my makeup the next day, especially after the small fortune the three products cost me. It physically hurt me a little bit to hand over my debit card but no says looking good was cheap and you do have to invest in some beauty products. I love how classy the packaging looks and I even got a couple of lovely samples with my purchases. I have been really enjoying my Skinlongevity Vital Power Infusion serum sample and it is an amazing hydrating serum, which makes the perfect base to apply makeup. 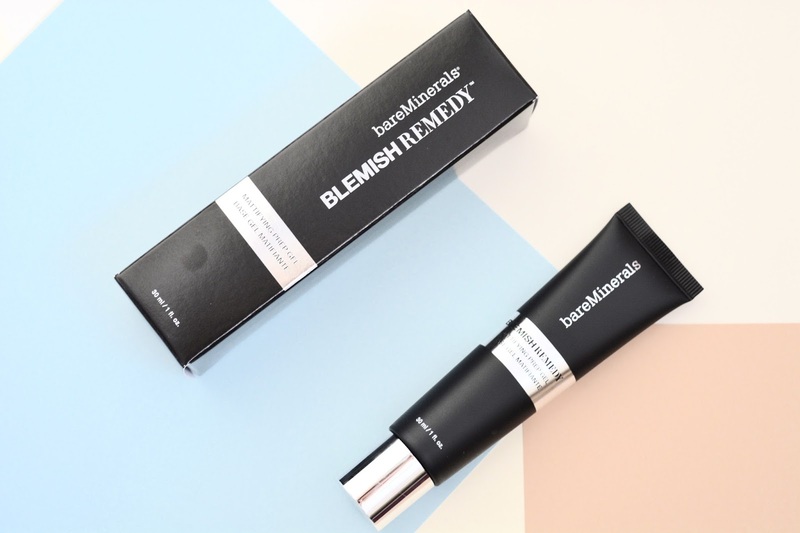 The bareMinerals Blemish Remedy Mattifying Prep Gel is a lightweight primer that easily glides onto skin and minimises pores, prepping your skin perfectly for your foundation and creating a matte effect on skin. I love how smooth my pores look, my skin looks healthier and makes applying the rest of my makeup oh so much easier. You only need a small amount as a pea size drop of primer goes a long way and £22 is a reasonable amount considering how much you use. I have been very impressed with the primer and you wouldn't think something so lightweight would be as effective, it is a little miracle worker. It's easy to understand why the bareMinerals READY SPF 20 Mineral Foundation is an award winning product and is the holy grail! I had never even considered that powder foundations were a thing and that was my first mistake as this is amazing, it could even rival the Kardashians flawless even coverage. 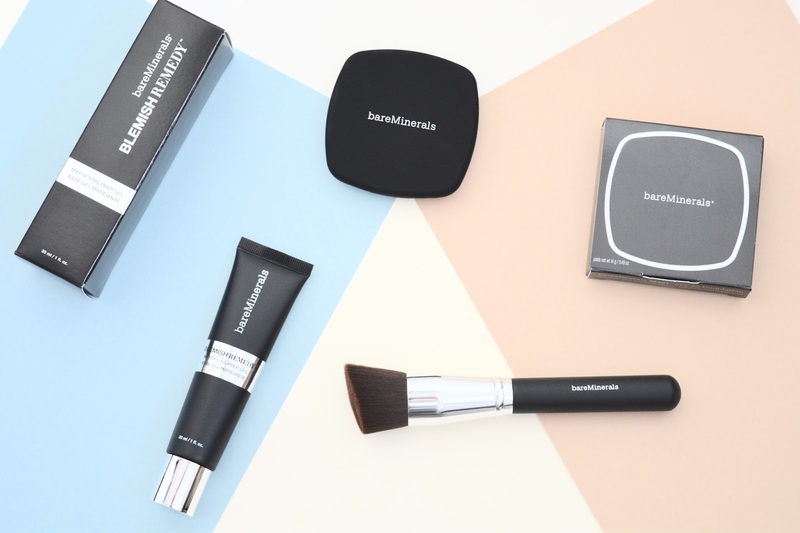 The Mineral Foundation is so much easier and quicker to apply, I have cut my makeup application time in half and this is also thanks to the bareMinerals Precision Face Brush. The Precision Face Brush is the softest brush known to man and is very well paired with the Mineral Foundation, it honestly makes applying foundation so much easier and I can know get ready in ten minutes flat! 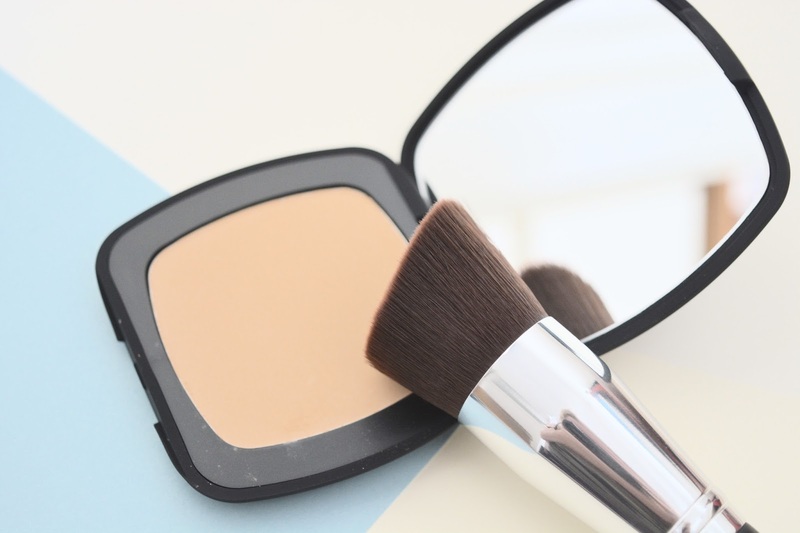 All you have to do is lightly pat the brush into the foundation and sweep it onto your face for beautiful even coverage. The foundation offers light to full coverage depending on your mood and it is really easy to build your coverage as you go along, with some liquid foundations I found that when trying to build my foundation it became cakey but this isn't the case with the powder foundation. It truly does even out your skin tone and my makeup looks really natural even when done for fuller coverage, perfect for flawless and long wearing foundation. It is great for people with oily skin as it allows your face to breathe more and my makeup doesn't melt half way down my face by lunch time. I'm beyond amazed by the results and I have to admit I had my doubts when I first bought it, however, it is safe to say I am now a fan and don't know if I could go back to using liquid foundations. I am obsessed with my new purchases and will definitely be repurchasing them once I run out, and probably will invest in a full size product of the serum I have been using. I also have to say I was very impressed with the service I was given when I went into the bareMinerals shop in Brighten, the gentleman who served me was very friendly and helped find the perfect shade of foundation for my skin tone. Whilst also introducing me to all of the over products they had to offer and it didn't feel sales-y in the slightest. They were truly all very friendly and helpful in there, and could definitely teach a thing or two to some other shops in Brighton town centre! !